If you would like to revisit the Tango fundamentals, focus on specific issues, develop your own musicality, style and creativity, why not book a private lesson with us? You can book individually or as a couple, even in small groups – maximum 4 couples / session. We also teach Argentine folk dances (Chacarera, Zamba etc.) and can provide fresh, contemporary and unique choreography to a piece of music of your choice (any dance style or musical genre are considered, pop, rock, jazz, folk, country, classical, electrical or hip hop etc.) to help you make that First Dance truly magical or just to dance like a pro and have fun dancing, whatever the occasion! 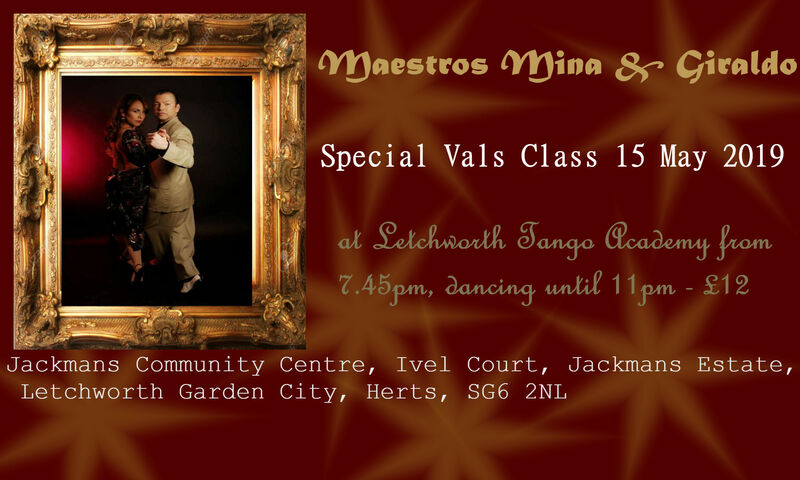 Letchworth on Wednesdays at the Jackmans Community Centre.